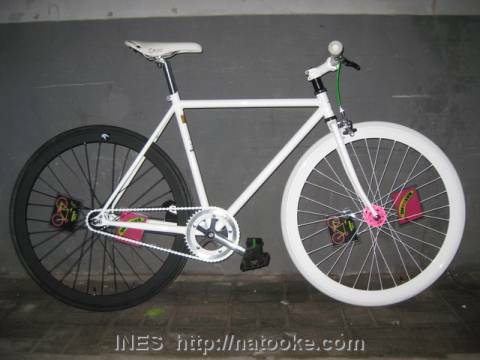 Bhaskar had bought a fixed gear and singlespeed bike at Natokke. 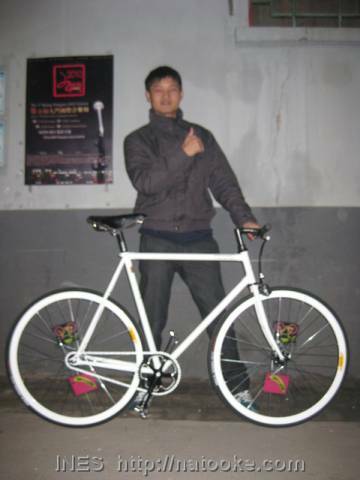 He chose our Special Edition lugged Fixed gear Revolution II Flying Banana frame. We boxed it up for him as he took it on his flight back to India. In Bangalore he brought it to a nice bike shop Bums On The Saddle. 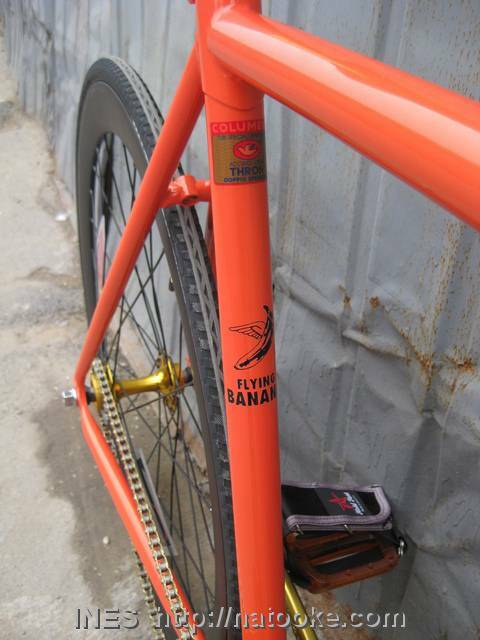 The owner Rohan took these amazing shots of our Flying Banana bike. 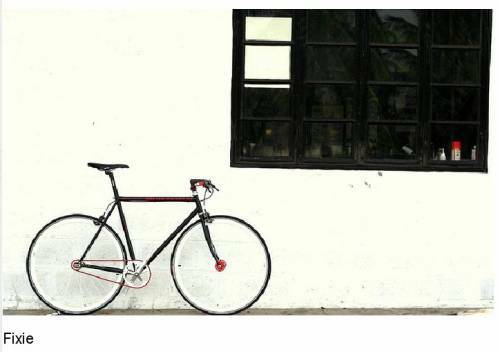 It is the first Fixie Revolution bike in Bangalore. Check out the whole set of pictures on flickr. But I am happy to see that there are already fixed gear riders in Bangalore! There was a short clip about the second audition for the Beijing TV 2011 Spring Festival Global Gala shown on TV 2 days ago. Here is a link to the TV video. The section about me and Yu Changqing starts at 3min 18sec. 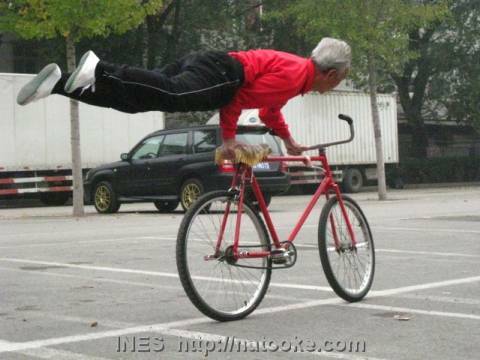 I hope we can be selected to perform our bike tricks for the big gala show during Chinese New Year. STC participated in an event organized by the Trends group for their „Half Car“ green initiative. I did a performance in front of famous Chinese people. 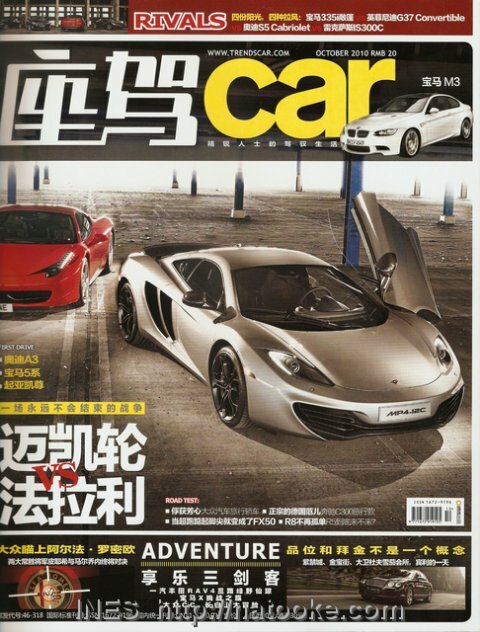 Here is a picture of that in the October issue of the Trends Car (时尚座驾) magazine. Dupree brought his former military jacket for working on bikes. We think he looks like a Min Gong (migrant worker) wearing that. Dupree, Chris and I then decided that better let Echo do all the work and us stand on the side and just give our comments. 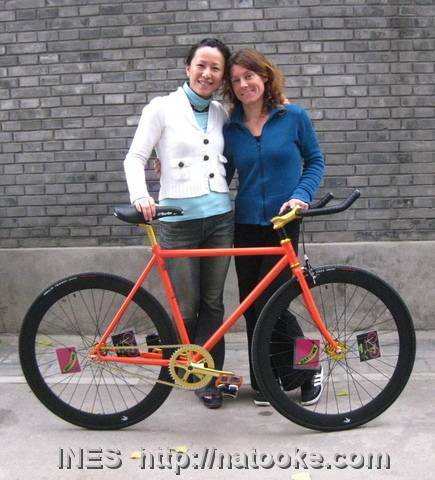 And look how happy she is with her finished bike. The gold and black goes well with the metallic special orange color she ordered. All the parts closer to the frame are golden, the further away parts are black. 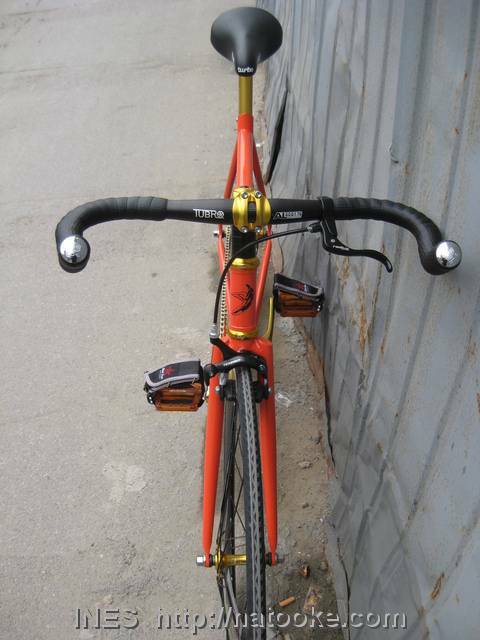 Our Flying Banana bike frames are made using Italian Columbus Thron tubing. It is nice to see Echo so happy about her new bike. Today was very busy in our Natooke fixed gear bike store here in Beijing. 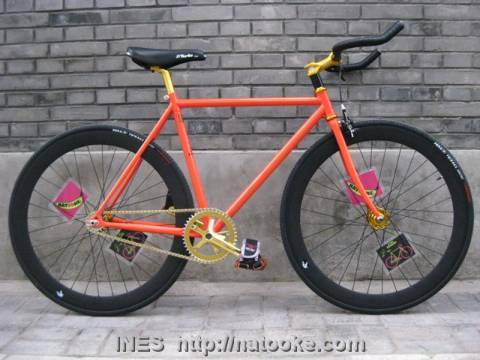 I am sad I had to send some of the Korean fixed gear riders away that just wanted small modifications. It was not the right day with other customers waiting for the bikes to be built up. 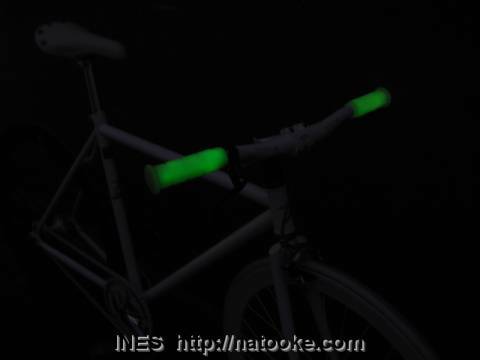 Like this one that we finished around 6pm.It has glow in the dark Oury grips. 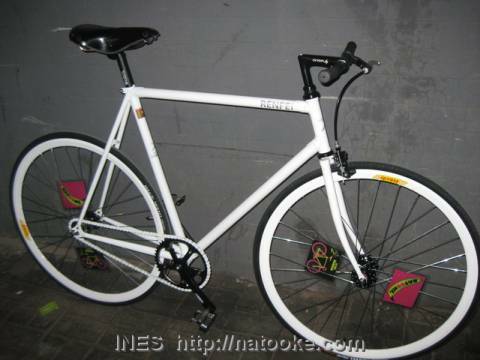 We also finished another great track bike for Ren Fei. He had requested to have his name added on the frame. He was also very happy to pick up his fixed gear bike. He even asked me to join him and his friends for dinner but unfortunately I had already an appointment with friends visiting from France. I found an entry about myself on the Puerto Rico fixed gear webpage. Thanks! 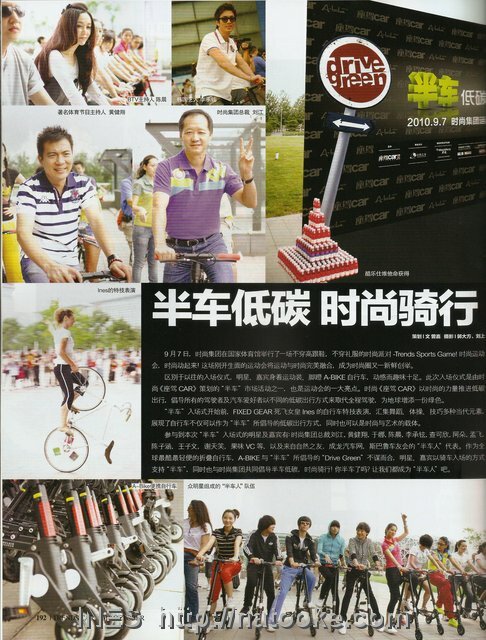 Greetings from Beijing to you Puerto Rican fixed gear riders! 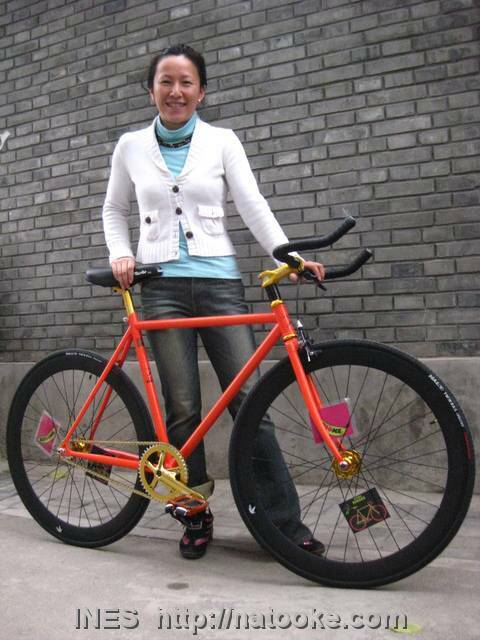 You are currently browsing the China, Asia, Climbing and Fixed Gear Bikes blog archives for Oktober, 2010.